UPDATE: Real ID holders *still* don't have to go to the DMV if they only provided one proof of residency. So, you decided to be an overachiever, plan ahead and get that Real ID everybody's been talking about. But then you heard the rumors: millions of those Real IDs aren't valid. Well, we're here to ease your troubled mind — the IDs are totally fine. And anyone in possession of one needs to do all of "nothing" to make sure they work, said Jaime Garza, a spokesperson for the California Department of Motor Vehicles. "Whoever has a Real ID today, that card — as long as it hasn't expired — is valid until it's up for renewal," he said. 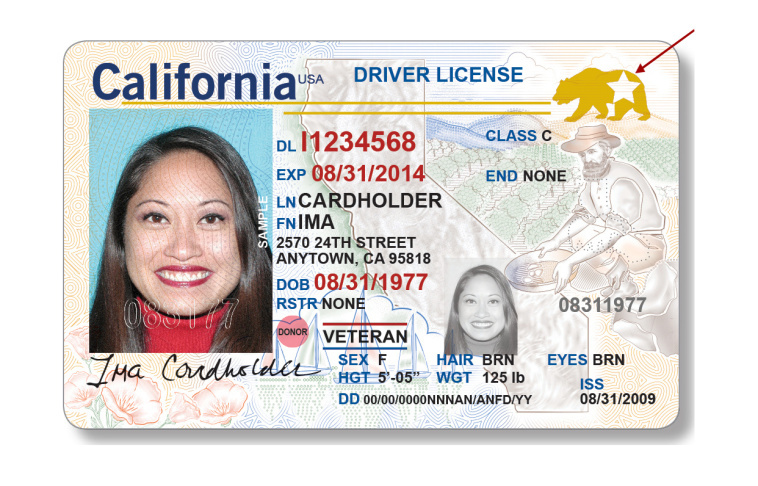 Real IDs are issued as either a driver's license or an ID card, and any valid Real ID will be identifiable by the California bear and star logo in the upper right-hand corner. Word about invalid Real IDs started to spread on Friday, when outlets including The Sacramento Bee reported that the Department of Homeland Security — the entity responsible for creating guidelines around Real IDs — told California's Department of Motor Vehicles that their procedure for validating Real ID cardholders' residency wasn't sufficient. Required to get two documents proving residency, the DMV was instead getting one document, then mailing out Real IDs to approved applicants. If those IDs weren't sent back, the department considered their residency affirmed. Q: What is a Real ID driver's license or identification card? It's a driver's license or ID card that meets national security requirements implemented by Congress in 2005, in response to 9/11. The requirements, dubbed the Real ID Act, sought to create standardized, federally approved driver's licenses in all states. If you're flying, entering a military base or entering other Federal facilities, you'll need to show either a Real ID or another federally-approved identification card (a passport is acceptable) as of Oct. 1, 2020. You won't be able to use your pre-Real ID driver's license from that date forward. Q: Is obtaining a Real ID license or identification card necessary? No, it is not. "A Real ID driver's license or ID card is optional," said DMV spokeswoman Jessica Gonzalez. "It is just an easier way for you to continue using your driver's license to board a domestic flight. That is really the main part of it." Californians who don't wish to obtain a Real ID license or state identification may apply for what's called a "federal non-compliant" driver's license or ID card. The card will be marked with the words "federal limits apply." Californians who choose this option can continue to use their state licenses to drive and as a primary form of identification. Q: How does this affect AB 60 driver's license holders? According to the California DMV, the changes don't apply to the nearly one million immigrants who have driver's licenses under A.B. 60, the law that allows unauthorized immigrants in the state to apply for the licenses. Q: Must those who want a Real ID license apply right away? No, there is no rush, according to DMV officials. Until Oct. 1, 2020, a valid California driver's license may still be used to board a domestic flight or to enter a secure facility. Those wishing to apply for a Real ID license or identification card must do so in person at a DMV office. Applicants must make an appointment and come prepared with proof of California residency, proof of their Social Security number, and proof of identity such as a U.S. passport, a birth certificate, an employment authorization document, a permanent resident card (green card) or a foreign passport with an approved form I-94 arrival and departure record. The DMV has posted a list of documents that Real ID applicants may use. The cost is the same as for a regular California driver's license, $35. The cost is $30 for state ID cards. DMV officials said the processing time should be about four weeks.